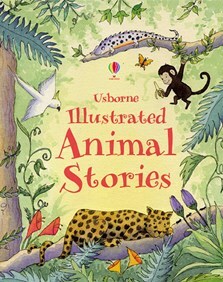 A book of ten delightful animal stories, including mischievous monkeys, sly foxes and silly chickens. Includes well-known classics such as Chicken Licken, The Billy Goats Gruff, The Hare and the Tortoise and The Goose that laid the Golden Eggs. Each story is brought to life with vivid illustrations. A gorgeous gift featuring a robust hardback cover and a ribbon marker. These ten animal stories are a mixture of traditional tales, old favourites and stories from other lands. Each has a different author and illustrator which gives a great variety of voices and moods. There is the delightfully silly Chicken Licken and the four clever friends in The Musicians of Bremen.